A person who has been involved in a motor vehicle accident will likely experience some injuries caused by striking the interior of the car. If the collision is at the front of the vehicle, injuries to the lower extremities, such as dislocated or fractured ankles, knees or hips, is relatively common. This type of impact can also cause injuries to the head, cervical spine and torso from striking the steering column, dashboard or the windshield. In a case where the vehicle is struck from behind, an accident victim may experience a whiplash, where the neck is jerked abruptly from the impact. The discs, ligaments, cervical muscles and nerves in the neck region may be damaged as a result. 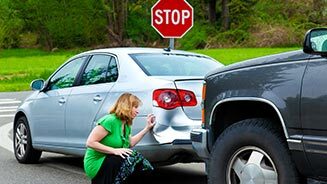 When a vehicle is struck from the side, the occupants are more likely to experience internal injuries. All types of motor vehicle accidents can result in soft tissue injuries, which affect the muscles, ligaments and tendons. The impact of the accident lingers on long after the event itself. Not only do people who have been injured in a car accident have to contend with the pain and suffering from their physical injuries, but they have to deal with economic loss following the accident. The stress from worrying about how to keep up with financial obligations can add to the pain that an accident victim experiences following the accident, which can affect recovery time. If you are involved in an accident, contact your auto insurance company right away. You must make a claim for accident benefits within seven days from the date of the accident. Claim forms must be filed with the insurance company within 30 days. There is a set time limit for filing a lawsuit against the other driver following an accident. 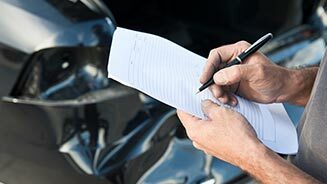 You will need to put him or her on notice of your intention to file a claim within 120 days from the date of the accident, and you have two years to file your lawsuit. A person who has been involved in an accident should seek medical treatment right away. Some types of injuries, such as whiplash, may not be present immediately following the accident. The symptoms may not appear for a day or more following the event. A car accident victim may not know the full extent of his or her injuries right away. It can take time for doctors to diagnose a car injury properly and determine whether it will lead to a permanent disability. Rather than waiting for this determination to be made and running the risk of losing the right to seek compensation for injuries and lost wages from the at-fault driver, an accident victim should contact a motor vehicle accident lawyer right away. Petrillo Law has been providing competent, caring legal advice to car accident victims in Mississauga, the Greater Toronto Area (GTA) and across Ontario for over 20 years. 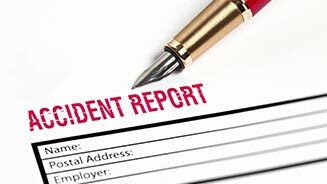 We can evaluate a case to determine whether it meets the provincial threshold required to start a lawsuit as well as represent injured people who have been denied accident benefits by their own insurance company. Being injured in a motor vehicle accident is a traumatic event and Petrillo Law has the knowledge and experience to help accident victims receive the benefits and compensation that they are entitled to. We understand what our clients are going through and are ready and willing to look after dealing with the insurance companies so that you can focus on recovering from your injuries.